A customer from Scotland, UK, who had searched high & low for a craftsman to make a Bloodwood Heart,was completely satisfied with her purchase. 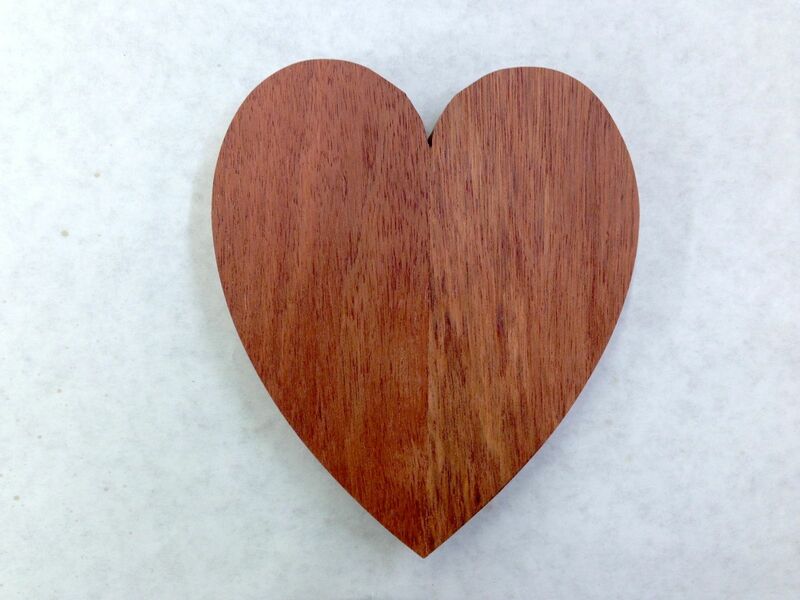 This Bloodwood Heart, which is about 7" x 7" and will be a Christmas gift, has several coats of a satin polyurethane finish. The customer plans to have names engraved on the front of the Bloodwood Heart.